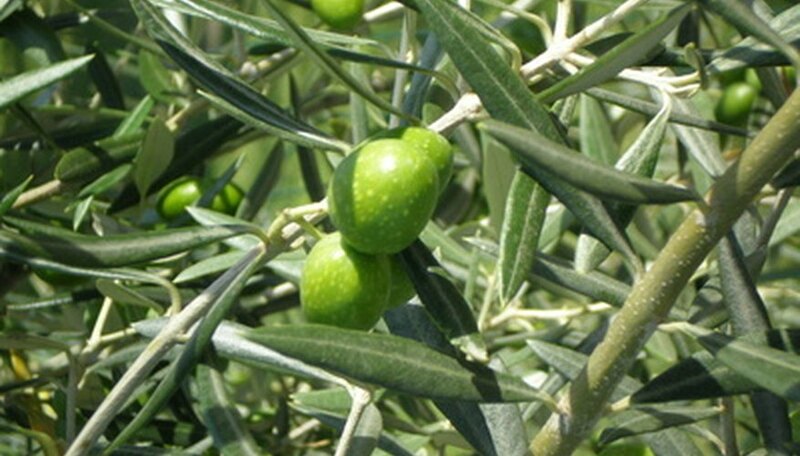 Russian olive is a thorny tree that grows well across the United States. In some landscapes the tree is used as a windbreak. But because the tree thrives in environmental extremes, such as desert landscapes, and because it has a tendency to escape cultivation and grow where it isn’t wanted, some people consider the Russian olive tree to be an invasive, noxious plant. Once a Russian olive establishes itself, uninvited, in your lawn, you must remove it manually. Cut a ring into the bark around the trunk of a Russian olive tree with an axe. The ring must be at least 2 inches wide by 2 inches deep. Cut a second ring into the trunk 2 inches above the first ring. These rings are known as girdling rings and are designed to interrupt the tree’s vascular system. This will help to kill the roots and prevent new trees, which are known as suckers, from springing up from the roots or tree stump. Mix a solution of 1 part systemic herbicide containing triclopyr and 1 part water. Pour into a spray bottle. Spray over the girdling rings until the tree is saturated. Wait for the tree to die. The tree’s foliage will turn brown and crisp and drop off the tree, and the trunk beneath the bark will turn gray when the tree dies. Cut down the tree with a chainsaw or axe by making a V-shaped notch in the lower stump that extends a quarter of the way through the stump. The notch should be open in the direction that you wish the tree to fall. Make a second cut on the other side of the stump just above the point of the V in the notch. This cut should extend through the tree until it almost touches the notch. The tree’s weight should cause it to topple in the direction of the notch at this point. Step back as the tree begins to fall to prevent injury. Spray the stump with systemic herbicide to help kill the roots of the tree and prevent suckering. Cut away limbs and cut the trunk into sections. Carry the wood from the Russian olive tree away to be burned or shredded into wood chips and recycled. Cut back stands of Russian olive saplings by mowing over them with a tractor-mounted mower. Treat the cut stems of Russian olive saplings with a systemic herbicide containing triclopyr to kill the roots of the saplings. Continue to monitor the stand for saplings that re-emerge. Mow and treat with herbicide as needed.